Kids are going to have to make serious calorie cuts to avoid obesity as they get older. If current trends continue, childhood obesity will transition into adult obesity. In setting the Healthy People 2020 goals, the feds were more pragmatic. They hope to reduce the childhood obesity rate by 10 percent of the 2005-2008 levels, to 14.6 percent of children and teens. Getting there would require kids to cut 23 calories a day, on average. 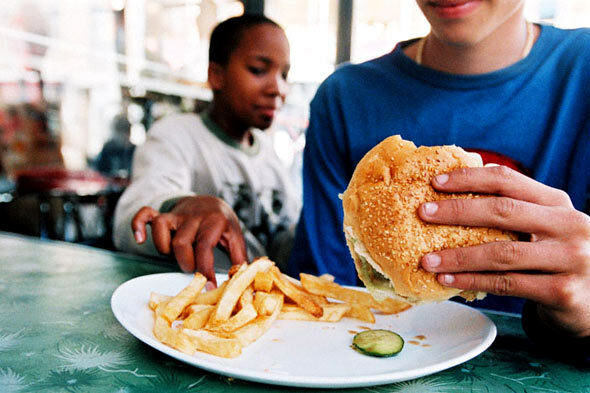 Teens, who are more likely to be obese than young children, would have to cut more. The good news is that obesity seems to be leveling off but even if the obesity epidemic has peaked, children are heavier than they have ever been in human history.